ONE the challenges of owning and running a small business is the sheer workload can be overwhelming at times. You're so busy working on your business that you don't have time to network or look at ways of future-proofing your business. Rick Hansen and Carl Carter from the Gladstone Chamber of Commerce and Industry say this is one of the major reasons small businesses should join the group. "We have over 100 businesses in the group and our monthly meetings are extremely beneficial," Mr Hansen said. "We'll meet this commitment through continuing to build the profile and credibility of GCCI as a peak body and the voice for local small and medium businesses." The group will continue to collaborate between representative bodies, source industry support for small and medium business, develop and identify resources to support businesses, provide and advocate for appropriate training and education and initiate programs identified to enhance and support business in Gladstone. Mr Hansen said it's important for people to remember how big a contribution small to medium businesses make when it comes to employment. 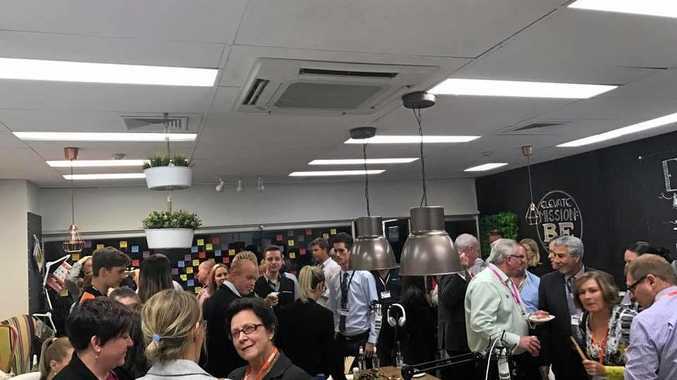 "Small to medium businesses employ 60- 80 per cent of people in Australia and the small business sector is the biggest employer of youths nationally," he said. "For many employees it's their first exposure to customer service. "They'll learn skills which will help them for the rest of their lives." The GCCI recently completed a survey among its members and the findings were conclusive. Mr Carter said members reported digital readiness as being one of their main concerns. "Business owners know they need to transition into the digital world, but how?" he said. "So we've been been looking at guest speakers and information sessions to educate our members. "At our last meeting we organised for a representative from the NBN to talk to the group." The other areas highlighted by the survey were help with marketing, finance and strategic planning. "We're planning on more training and education around those. "But also small business can be a lonely place for owners and managing mental health is another issue we'll be tackling," Mr Hansen said. "We've seen a rise in a lot of micro-businesses lately and we're very keen to help them grow." The GCCI meets on the second Tuesday of each month, for details check their website.